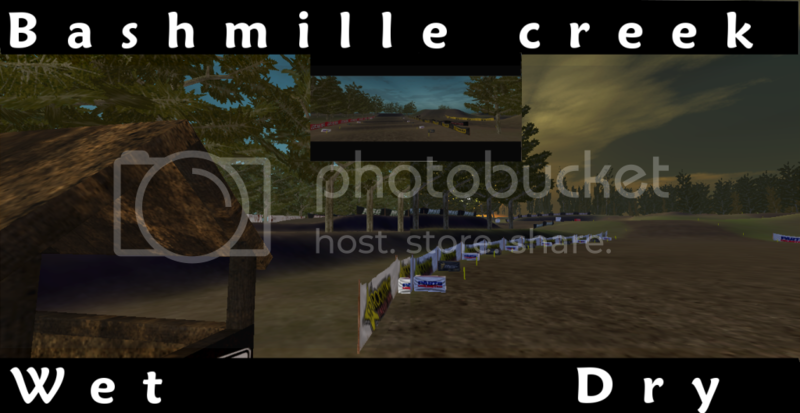 Description:In a wooded area is a track called Bashmille creek. There is a wet/dry version. Been working on it since march, got bored finished it up and here it is. My best track to date. Why not just make a folder with the timing gates already added and upload it? What is this name in game? 6 posts in a row. Gotta be a record. MX PRODIGY 17 wrote: 6 posts in a row. Gotta be a record. Hell Yeah! But it was late for me and I was through with it. Then someone called me on skype to say that timing gates and s*** was missing. But its there. NEXT TIME I WILL GET IT DONE RIGHT!! !......mx207.